Senator John McCain is learning the hard way that follows do not equal endorsements. Around noon on Monday, McCain tweeted a call to action requesting help from his audience. “We’re only 74 Twitter followers away from 3M – spread the word & help us reach this big milestone,” he tweeted. Doing the math, that means he was sitting pretty with 2,999,926 followers at the time. 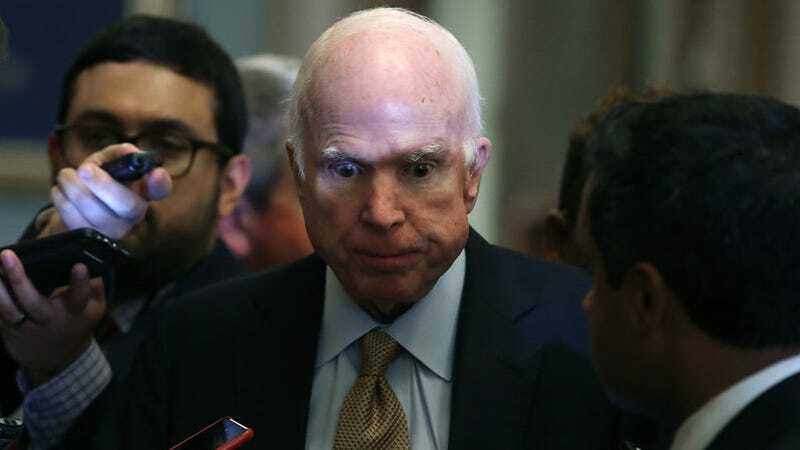 At the moment, he has 2,993,757 followers and the number is rapidly declining as people see an opportunity to tell McCain what they think of him. Based on the comments on McCain’s tweet, people are upset that the Senator followed his party in lockstep to pass a tax bill just before 2:00am on Saturday morning that none of them had read. The tweet is getting thoroughly ratioed, and people are spreading the word.